This painting is for @ohtoby. 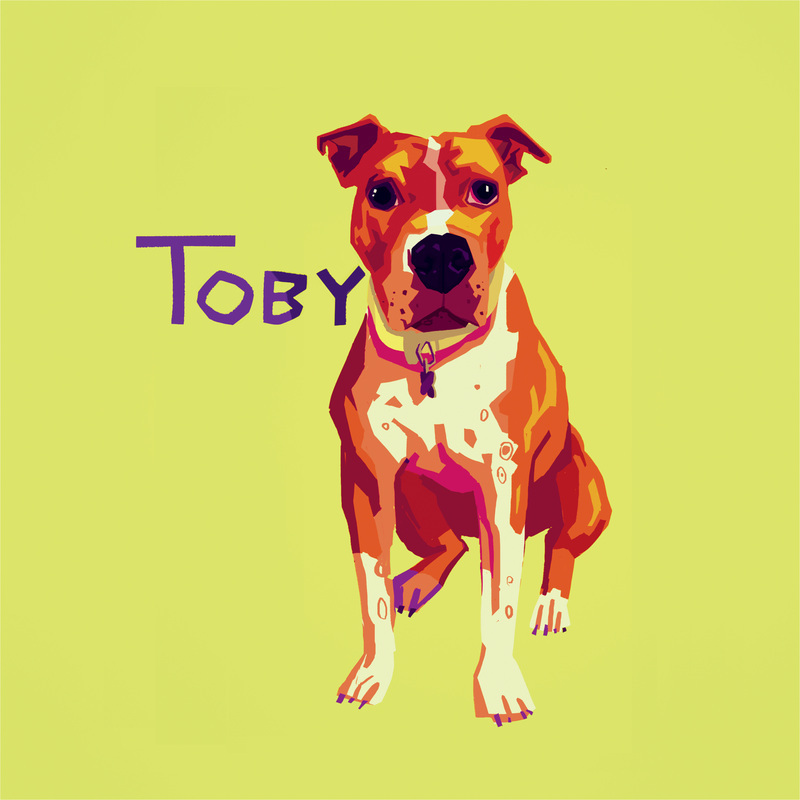 His person, Kelly, adopted him four years ago when she was going through some tough times and says Toby saved her. His previous owner kept him cooped up in a crate and Kelly jumped at the chance to take him when they decided they needed to rehome him. It took a lot of dedication to get Toby trained and acquainted to his new home, but he's one happy pup now!